We are striving to perform in the way where people will say “Wow! 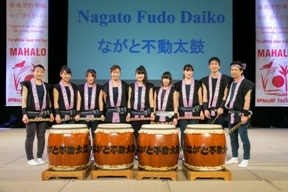 this is not just a good, but a great Taiko show”. We all practice songs and taiko stick skills very hard in the hope of impressing the whole world. We are striving to perform in the way where people will say “Wow! this is not just a good but a very great Taiko show”. Each of us practices songs and Taiko stick very hard in the hope of impressing the whole world. The is the second time for us to join the festival. We are striving to perform in the way where people will say “Wow! 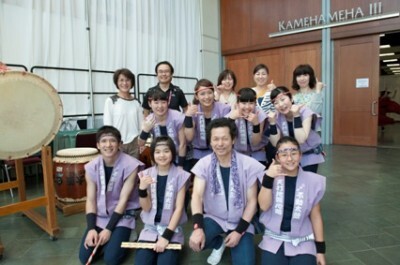 this is not just a good but a very great Taiko show”. Each of us practices songs and Taiko stick very hard in the hope of impressing the whole world. We want those who see us to say “Wow, amazing taiko,” rather than “good taiko.” Each member creates their own piece of music and choreography of the beating of their taiko. We want to be the best taiko group and do not want lose to any other!